As part of the birth of Jesus we read an account in Matthew’s Gospel of Herod the king of Judea receiving some people from an eastern land who were alerted that the true “King of the Jews” had been born. As a result of their visit Herod and the general population of Jerusalem were threatened. Just who were these people and why was Herod threatened? God was bringing His long awaited Messiah to the earth and the ungodly were going to try but would not be able to stop His plan. The vast majority of Jewish people, who should have been looking for their Messiah, were unaware of the birth of Christ, whereas these Gentiles, who were not God’s people at that time, did seek to acknowledge this King. The same situation exists today as we anxiously anticipate His second arrival. Most could care less; but those of us who know Him look for Him to appear at any time (Matt 24: 42-44; Mark 13: 33-37; I Thes 4: 4-6; II Tim 4:8; II Peter 3:12 etc.). Not only was Christ a physical earthly King by virtue of His lineage from David, but also by virtue of the fact that those in the world who were official kingmakers recognized Him as such. The Magi were from Media-Persia and were Persian kingmakers. After the Babylonian Empire fell in 539 B.C. the Media-Persian Empire took control of that region of Mesopotamia. Following that empire Alexander’s armies conquered it for the Greeks in 328 B.C. When Alexander died in 323 B.C. one of his generals, Seleucus Nicator, took control of the area and finally lost control of it to the Parthians in 139 B.C. Magi is the Old Persian word magav, which refers to a certain very wise hereditary priestly tribe of people who came from the Medes. This term is also translated as “megistanes” from which we get our term magistrates. The Magi were so powerful that historians (Herodotus) tell us that no Persian was ever able to become king except under two conditions: he had to master the scientific and religious discipline of the Magi, and he had to be approved of and crowned by the Magi. In effect, they controlled who could be king within the Mesopotamian region. Having through the years risen to a place of great prominence in the kingdoms of Babylon, Media, and Persia, they served as advisors to the rulers, and so the term became synonymous in many ways with being a wise man. This is how our English translations render the word magav. Now, some time after the birth of Jesus, some God-fearing Magi arrived in Jerusalem asking for the King of the Jews. Herod was half Jew and half Idumaean, being a partial descendant of the Edomites who lived southeast of Israel. He gained favor with the Romans, who controlled the land of Judea. As the son of Antipater, the procurator (governor) of Jerusalem and Judea, Herod had played up so much to the Romans that they appointed him as the tetrarch of Galilee in 47 B.C. It was a lesser position in significance, but nonetheless it was a position of honor among the Romans. Seven years later in 4O B.C. 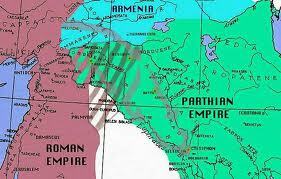 when the eastern Parthian Empire attacked the Romans at Israel, civil war broke out and Herod quickly fled to Rome. Convincing the Senate that he was pro-Roman, and from that part of the world, he knew how to handle regional political situations. The Romans made him the king of the Jews, gave him an army and charged him with the job of bringing Israel under control. After three years, Herod being successful, was finally able to gain the full authority that had been promised and truly became the king of the Jews, a title that he maintained until he died. Politically speaking, Rome was strategically concerned with the eastern empire of Parthia, as the old Medo-Persian Empire became known. Rome had stretched its tentacles out to rule the world, but they never really felt secure about the Parthian Empire because they did not conquer them. Israel (situated between these two powers) became the battle ground between these violent enemies in 63, 55 and 40 B.C. Rome’s anxiety over this eastern empire was accurately reflected in Herod’s response to the arrival of the Magi in Matthew 2:3: “When Herod, the king, had heard these things, he was troubled….” When he heard that Magi, the oriental, Parthian kingmakers had arrived in Jerusalem, he became justifiably politically insecure. By the time of Christ, the Magi still had tremendous power in the east. Whereas some of them used their power, position, and skills with a great amount of human wisdom, others prostituted their craft. Both kinds of Magi were very common in the Mediterranean area when Christ was born (Acts 8 & 13 speak of corrupt ones).At the time of Christ in the eastern empire there was a ruling body called the Megistanes who would be similar in function to the United States Senate. It was totally composed of Magi who had the right of absolute choice for the selection of a king. They were kingmakers. When the Magi arrived in Jerusalem asking for the whereabouts of the new king that had been born, Herod panicked, knowing that those Persian kingmakers had come to find their king. They were no doubt traveling in full force with all their oriental pomp, riding Persian steeds (rather than camels). 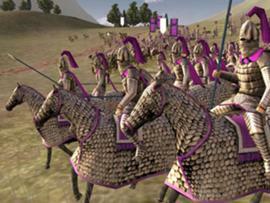 And accompanying them, historians estimate (from John MacArthur) there were a thousand mounted Persian cavalrymen. When they came into the city of Jerusalem and Herod saw them he became very nervous. That’s why the Bible says that Herod was “troubled.” The Greek word conveys the idea that he was agitating like a washing machine–literally shaking. As the King of the Jews, the great dream of his life was to get that little buffer state in the middle of two huge contending empires, under his control. All of a sudden this massive group of Persians arrived in the city and he panicked because the new king they were coming to find would be a threat to the realization of his dream. At that time both Herod and Caesar Augustus were aged and close to death. Also because the retirement of Tiberius, Augustus’ future successor, the Roman army was left without a commander-in-chief. The Parthians’ were aware that this would be the ideal time to bring about an eastern war against the west. Herod knew this too. The Bible says that they worshiped Christ. They saw more than just a king. They saw the Messiah they had heard about from the days of Daniel. The Magi who came to Jerusalem were God-fearing Gentiles who probably envisioned this Savior, the Anointed One (Messiah), as the king who would gather all the people of the East together against the oppression of Rome. Knowing that the people of Israel were on their side rather than Rome’s, the Magi came into town and started asking the people where this new King was. Most of the ruling Jews were blinded by their unbelief. Interestingly some of the first people in the world to recognize the arrival of the King were Gentiles. History reflects that irony of rejection in John 1:11 where it says, “He came unto His own, and His own received Him not.” But in spite of the general rejection of the King by the Jews, the Magi knew this Child could be the great Messiah that Daniel had prophesied. They could have hoped this would be the one who could unify the east and go against Rome with invincibility. Most Jews were looking for a Messiah that would resemble a strong military man capable of throwing off the suzerainty of the Romans and freeing them. And so, into Jerusalem rides the group of Magi, kingmakers of the east on their fine Persian steeds, and escorted by a thousand mounted cavalrymen. They came into town asking, “Where is He that is born King of the Jews?”, and Herod became afraid. A little of the shock of this whole scene is indicated in Matthew 2: 1. It was completely unexpected and shocking for Magi to come from the east, asking where the King of the Jews had been born. 1) Suetonius wrote in the The Twelve Ceasars, “There had spread over all the Orient an old and established belief, that it was fated at that time for men coming from Judea to rule the world.” Writing during the second century A.D. about such things as Vespasian’s conquering of Israel in A.D. 70, Suetonius looked back and said that the first century was a day when there was an expectation for men coming from Judea to rule the world. Consequently, people’s eyes were focused upon that place. Herod must have known that Child was more than a human king. He apparently knew that this was the Messiah, the Anointed One, which the Magi were seeking. Herod knew that the true King of the Jews, and the Messiah of Israel, were one and the same. Like the Wise Men, he was aware that there was more than a humanly king coming to the earth. He knew that someday a God sent Messiah would arrive. Herod’s interrogation of the chief priests, about where the Christ was to be born, shows how subtly deceptive he really was. It is amazing how many people look to the Bible for information. But they will not accept Christ as their Savior and Lord. The chief priests and the scribes quoted Micah 5:2 to Herod, informing him that the Messiah was to be born in Bethlehem. They knew that, and still paid absolutely no attention to the events in Bethlehem. It’s amazing that these orthodox literalists had perfect head knowledge, but were never touched in their souls. No wonder the Bible says, “…for the letter killeth, but the Spirit giveth life” (2 Cor. 3:6b.) It didn’t take long before the indifference of the chief priests and scribes issued in the hateful plotting of Christ’s murder. From the indifference of Matthew chapter two to the plots and the murders at the end of the Messiah’s life, they had full knowledge of all the prophecies being fulfilled by Jesus Christ, and yet they rejected them with full information. Jesus Himself even reminded them that all they had to do was to check the Scriptures which they were supposed to be so expert in: “Search the scriptures; for…they are they which testify of Me” (Jn. 5:39). Bethlehem has an interesting history. In the book of Genesis, Jacob buried Rachel there, setting a marker by her grave (Gen. 35:19-20). Ruth married Boaz and she lived in the town of Bethlehem (Ruth 4:11), from where she could see her homeland, Moab, across the Jordan Valley and the Dead Sea. Bethlehem was the home and city of the great king of Israel David. It is called the city of David, as 1 Samuel indicates (16:1; 17:12; 20:6). It was there in that little village that the people of God had long expected their Messiah to be born, in accordance with the prophecy of Micah 5:2. They waited for David’s greater Son, the Messiah, to come out of David’s city. But when the time of His birth did arrive, few were even aware of it. Herod was afraid that this little baby would interfere with his status in life. Jealous and fearful, he sought to eliminate Him. People felt the same way thirty-three years later, successfully completing Herod’s original plot of killing Jesus. Some people feel that way today. Jesus is interference in their life. He bothers them, upsetting their plans, and if they had their choice, they too, would eliminate Him. Like the book of Hebrews says, those people know all about Christ and still reject Him, in effect, “crucify to themselves the Son of God afresh, and put Him to an open shame” (Hebrews 6: 6b). Jesus cautioned His disciples about the hatred and the hostility of the world toward Him and His servants: “If the world hate you, ye know that it hated Me before it hated you” (Jn. 15:18). “…the time cometh, that whosoever killeth you will think that he doeth God service” (Jn. 16:2b). And, of course, we see the hatred and the hostility exemplified by Herod. The chief priests and the scribes, who were engrossed in their political intrigues and their acquisition of power as well as making money in the Temple at the expense of the people, didn’t care that their Messiah had been born. There are many who are indifferent like that today. They conduct church services for the sole purpose of making a living as if the work of Christ was a business. They will be the people the Bible speaks of as having no awareness of His coming for His Church (Matthew 24: 36-51). The Magi came to worship Him knowing full well who he was and what He represented. This was all due to what they learned from Daniel the prophet. Daniel was chosen to become chief of the Magi when he demonstrated his superior ability in interpreting dreams (Dan. 5:11). 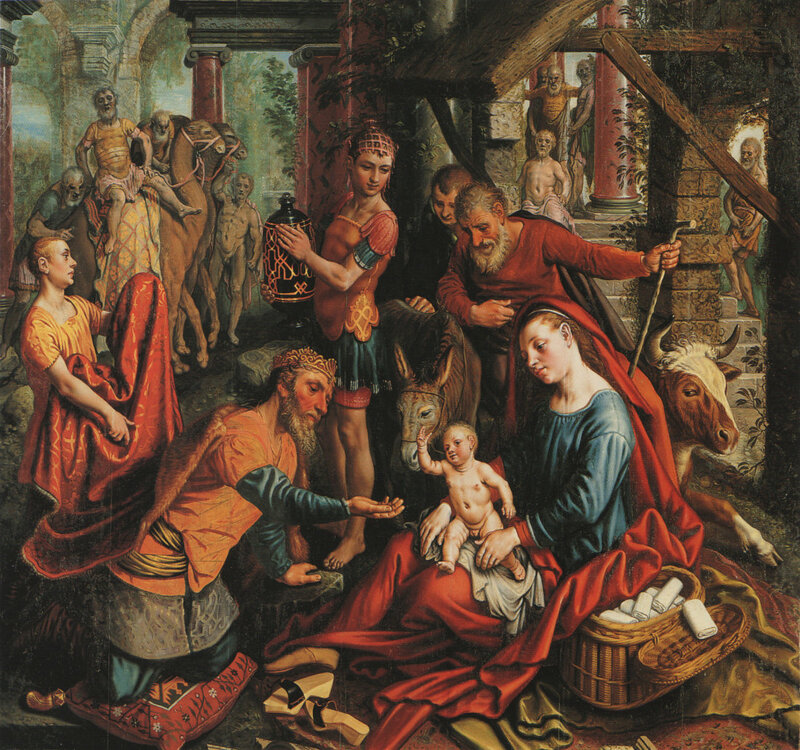 By the “divine coincidence” of having a great Hebrew prophet to rule the Magi six hundred years before Jesus was born, God was, in effect, setting up the situation so that one day, when a baby was born in Bethlehem, some of those Magi would find their way to the house where the young child was so that He could be acknowledged as King by known Gentile kingmakers. God controls human history; and we are seeing God at work. Long ago He picked out a man named Daniel and put him in a place to influence some men so that they could arrive in perfect timing. Interestingly, the people who should have known the great significance of the event missed it, and the people from way off who should have never guessed it could happen, showed up and worshipped the One who came to the Jew first and also to the Gentiles (Rom. 1:16). Jesus came and said, “I am not sent but unto the lost sheep of the house of Israel” (Mt. 15:24). Israel turned her back on Christ, and so He called a people from those who were not formerly His (Rom. 9:25). He reached out to the Gentiles, Romans says, and grafted us in (11:17). Even the unbelief of His own people could not prevent the Messiah from being honored as Jesus made clear in Luke 19:40 that if the people wouldn’t praise Him, “the stones would immediately cry out.” Therefore, when the King arrived, and His own people wouldn’t praise Him, then God made sure that there was somebody there to do it. And you know in our world today, people celebrate Christmas by passing around Christmas cards and giving gifts. They look at the Wise Men, but few really understand the significance of their presence before that Child. There are some of us, however, who have followed the example of the Wise Men and bowed down to the “KING OF KINGS, AND LORD OF LORDS” (Rev. 19:16b).